In Lifeforce Tenka - Codename Tenka you will play as this future bound colonist, on a planet known as Extrevius 328. You are commissioned to be upgraded into a bionid, a sort of enhanced fighter that will be easier to control and do the bidding of the local government. But, you have a different agenda, as any half decent chosen one, and thus you will have to put on a fight to escape your fate. So the game starts, and I must admit, this is a heck of a nice shooter ride. My problem with the game was the very console like approach to the game; the little things really: the fact that the size of the on screen weapons take too much space, the fact that the levels are pretty small and too similar to one another, etc. But, ultimately, I found the game pleasing, even if not some gem. It is a sufficiently polished game, which is all you can ask, really, plus, it has just enough oomph to keep you going for a whole afternoon! Play it, or alternatively, for another FPS taking place in the future on a space colony, try Red Faction. Though not as diverse as that one, Lifeforce Tenka - Codename Tenka is still mighty playable and enjoyable. 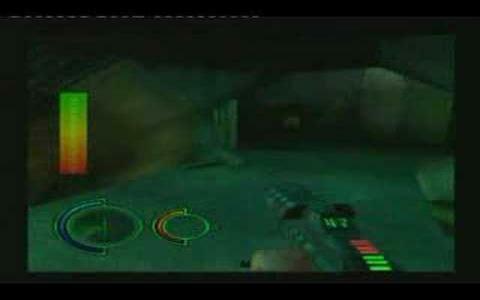 This is a typical FPS game with a standard futuristic plot and standard gameplay. The year is 2096 and the Earth is ravaged and torn, and the remaining citizens try to escape the planet to live on a remote Earthlike planet for a chance of a new beginning. You are named Tanka and are one of the employees at that planet and you have just found out that you are to become a Bionid - half human and half droid. You can't have that! So you go out with a suit and a rifle.. and let the game begin. The gameplay is pretty standard, with you in a first person perspective, going around with your rifle, shooting to kill anyone on sight. The weapons are pretty cool and various and the enemies look good and are not easy to kill. 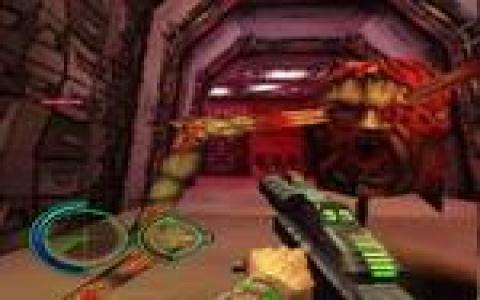 The graphpics are reminiscent on Doom, with a similar engine and graphic detail. The animation is fast and smooth, so no problem there. While the game is brings nothing new and is a very typical first person shooter, it is still pretty fun and interesting to play and worth a shot. Enjoy!